My first attempt at a Grilled Caesar Salad was a soggy, over cooked mess but I gave it another shot and this one turned out great! 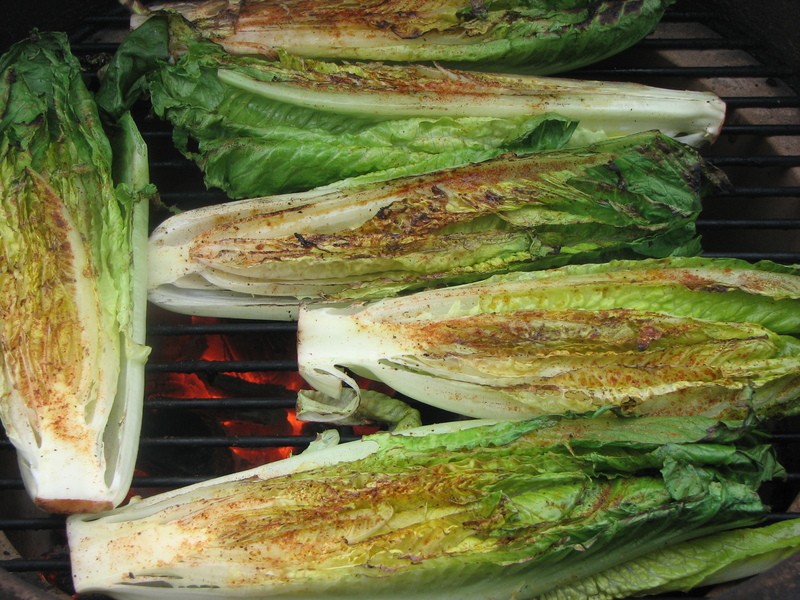 This time I cranked the temperature on the Big Green Egg and put the halved romaine hearts down and left the lid open (I didn’t want to cook the lettuce, just sear it!) I pre-seasoned the lettuce with EVOO, white balsamic vinegar, Cluck & Squeal Original and fresh cracked black pepper. I grilled these hot and fast, like 20-30 seconds a side with the lid open. 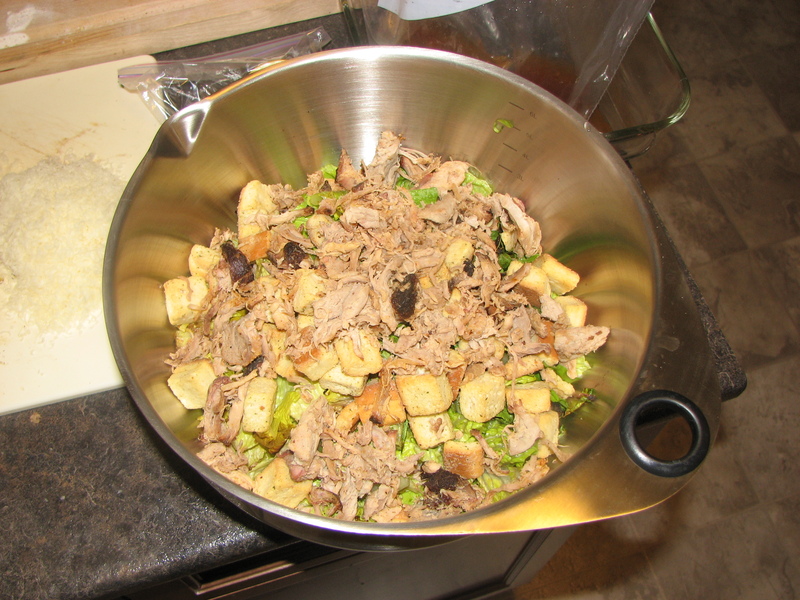 I also figured what better way to use up some left over Pulled Pork than to toss it in a Caesar Salad instead of using the more traditional bacon bits. Gotta say, that was a genius move!!! Just toss all the ingredients in a big bowl and serve as a side or even as a main course! It is pretty filling with the pork in there! 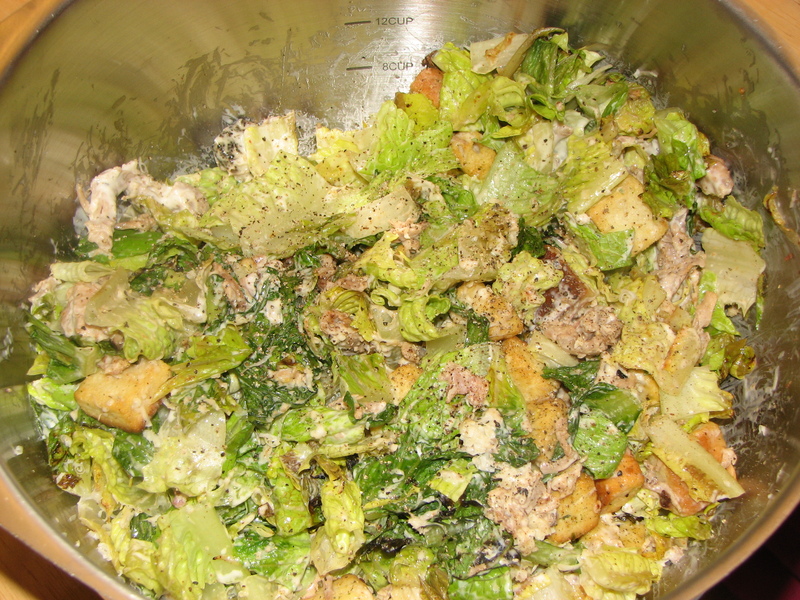 This Grilled Caesar Salad turned out AWESOME!! !